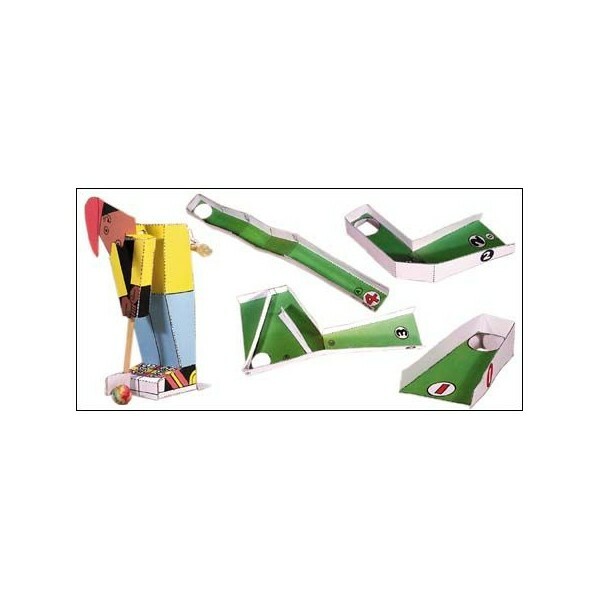 This unique mini-Miniature Golf Game uses the special Finger Flick®©™ process for teeing. 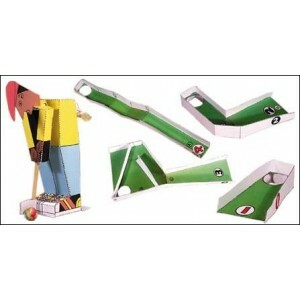 All you need for this golf game is one finger ! Peter MARKEY is a magician of paper. He has created mechanical toys made of all sorts of materials, but we believe his paper automatons are the most enchanting. Each kit has two sheets of parts with simple instructions for cutting and gluing the pieces. Little else is needed but scissors, exacto blade, a bit of tape, and glue. The result is the wonder of creating something quite marvelous out of next to nothing.